This study documents previously unknown taxonomic and morphological diversity among early Palaeozoic crinoids. Based on highly complete, well preserved crown material, we describe two new genera from the Ordovician and Silurian of the Baltic region (Estonia) that provide insight into two major features of the geological history of crinoids: the early evolution of the flexible clade during the Great Ordovician Biodiversification Event (GOBE), and their diversification history surrounding the end‐Ordovician mass extinction. The unexpected occurrence of a highly derived sagenocrinid, Tintinnabulicrinus estoniensis gen. et. sp. nov., from Upper Ordovician (lower Katian) rocks of the Baltic palaeocontinent provides high‐resolution temporal, taxonomic and palaeobiogeographical constraints on the origin and early evolution of the Flexibilia. The Silurian (lower Rhuddanian, Llandovery) Paerticrinus arvosus gen. et sp. nov. is the oldest known Silurian crinoid from Baltica and thus provides the earliest Baltic record of crinoids following the aftermath of the end‐Ordovician mass extinction. 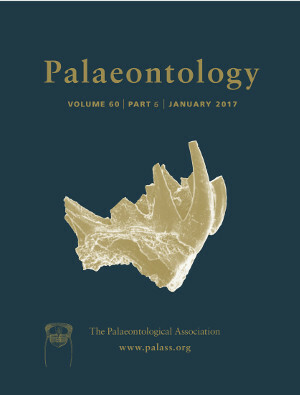 A Bayesian ‘fossil tip‐dating’ analysis implementing the fossilized birth–death process and a relaxed morphological clock model suggests that flexibles evolved c. 3 million years prior to their oldest fossil record, potentially involving an ancestor–descendant relationship (via ‘budding’ cladogenesis or anagenesis) with the paraphyletic cladid Cupulocrinus. The sagenocrinid subclade rapidly diverged from ‘taxocrinid’ grade crinoids during the final stages of the GOBE, culminating in maximal diversity among Ordovician crinoid faunas on a global scale. Remarkably, diversification patterns indicate little taxonomic turnover among flexibles across the Late Ordovician mass extinction. However, the elimination of closely related clades may have helped pave the way for their subsequent Silurian diversification and increased ecological role in post‐Ordovician Palaeozoic marine communities. This study highlights the significance of studies reporting faunas from undersampled palaeogeographical regions for clade‐based phylogenetic studies and improving estimates of global biodiversity through geological time.